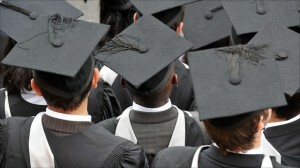 University Alliance > News & Media > Do we really have ‘too many graduates’? Do we really have ‘too many graduates’? The UK has ‘too many graduates’. Whilst this view is not one shared by our international competitors, this is a sentiment frequently captured in newspaper headlines and widely held by many in the UK. But is it true? And if so, does it matter? On Tuesday 27 March, together with The Work Foundation, we held a roundtable event to launch our report ‘The way we’ll work: labour market trends and preparing for the hourglass’. The event was also an opportunity to discuss policy issues and recommendations on how the UK can respond to an increasingly hourglass-shaped labour market. 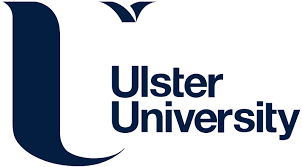 Libby Hackett, Director of University Alliance, set out the background and findings of the report asserting that contrary to popular belief in the UK, the evidence suggests that we do not have ‘too many graduates’. With the majority of future job growth limited to graduate dense occupation, a concept grasped by most other OECD countries, the UK must ensure that the workforce is suitably educated to meet the challenges of an hourglass-shaped labour market and to remain globally competitive. Highlighting a recommendation from the report she stated that an independent agency should identify indicators of graduate equilibrium and monitor levels to advise government on appropriate levels of investment to ensure public money is well used and the UK is prepared for the hourglass. Dr Paul Sissons, researcher at The Work Foundation, is leading their work on labour market polarisation for the Bottom Ten Million Programme. He asserted that polarisation has a damaging effect on intra-generational mobility and that progression routes from low level work should be a key priority stating that qualifications are a really important determinant of mobility for displaced workers. He also highlighted the importance both of equipping people with the right level of education and training and ensuring skills are effectively utilised. Katerina Rudiger, skills policy adviser at CIPD, said that employers value graduates but also that one of the main challenges graduates face is the lack of workplace experience. Employers have a massive role to play in the transition from education through to work and need to create more entry level jobs to ‘grow their own workforce’ and need to invest in job design and business leadership that promotes skills utilisation. She also highlighted the importance of better career information and guidance (IAG) linked to labour market information from school age upwards. Professor Neil Gorman, Vice-Chancellor of Nottingham Trent University, described how universities are equipping students for future employment. He described the important work universities are doing to get the right student into the right course for the right outcome. This includes working with schools, businesses and professional bodies to ensure that both the education and training of students leaves them equipped with the right attributes for future employment opportunities. The discussion that followed considered: the dramatic shift towards graduate dense occupations; if we need more graduates, what type of graduates do we need; the international dimension including the importance of aspiration and the role of family and cultural views of education; and the importance of city level labour market trends and the role of universities shaping labour markets, anchoring investment and raising aspiration – particularly in less affluent cities. The evidence shows that we need more graduates. These graduates need to be equipped with attributes that enable them to be adaptable, innovative and productive. Universities have a role to educate, train and provide opportunities to gain experience of work. Do we really have 'too many graduates'?